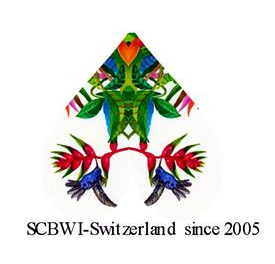 Whether it's your local region or one across the country, or even across the globe, there's so much wonderful information to be accessed from the blogs, websites and newsletters of SCBWI's many regional chapters! Take this on-line article, "What Makes A Caldecott," by illustrator member Melanie Hope Greenberg - a recap of the talk Brooklyn Public Library's Central Librarian Judy Zuckerman, a 2005 Caldecott Committee member, gave to SCBWI Metro New York. A great way to polish up the craft of picture book illustration, she said, was to see what comprises “the cut above the rest.” And those are the Caldecott winners. Ask yourself, would it still be a good book if it was fiction? It shouldn’t matter where it ends up getting shelved—a good story is a good story. 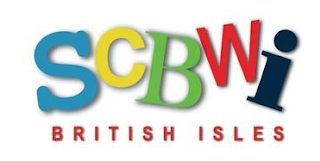 There's a great discussion of voice in illustration in this blog post article "A Question of Voice" telling us about the SCBWI British Isles Illustrator Masterclass Series event with Bridget Strevens-Marzo. Covering the different kinds of children's illustrators (are you a fox or a boar? A painter or a writer?) and also linking on to resources like Scott McCloud’s pyramid of different ways to illustrate a character, moving between reality to abstract. 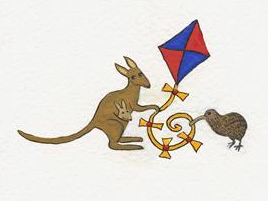 And the article by April Halprin Wayland in the recent SCBWI Kite Tales Newsletter (the Newsletter of three chapters: Los Angeles, Orange County and Central California) that tells us all "How To Be A Poet In Three Easy Steps:"
1. Wake up inspired and brilliant. Wait, never mind -- you can skip this step and go directly to 2. 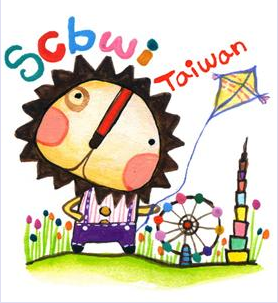 This is just a taste of how there's so much to discover from SCBWI's Regions - and not just your own! Domestic and International, head over to scbwi.org's list of regions and start uncovering the bounty of information that's there for you! 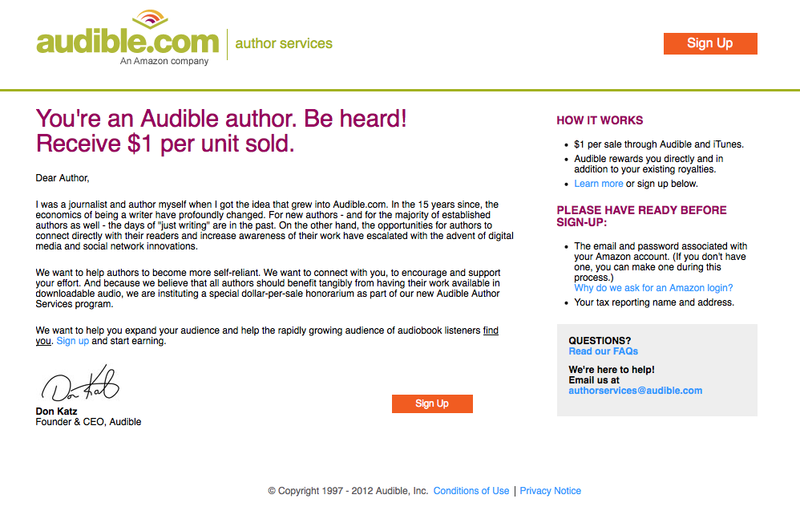 Audible.com Founder and CEO Don Katz announced this new program "to help authors to become more self-reliant" by building on their ability "to connect directly with their readers and increase awareness of their work" via social media. "I am hoping this effort rewards authors because writing a book is one of the hardest and most meaningful things anyone can do. I hope it builds their audiences and our sales by working together." 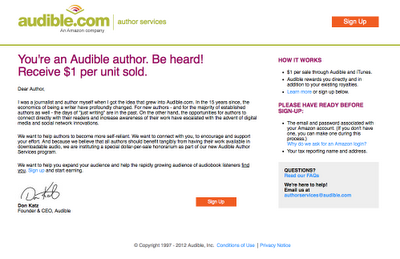 "encourage authors to promote their audio versions at the same time" as they promote their written work. The Justice Department jumped directly into the fight over the future of digital books on Wednesday — and Amazon came out the winner. "...the European Commission's parallel investigation of agency ebook price may be close to a settlement among most of the parties involved as well." 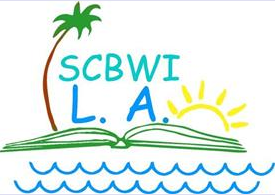 Registration opens tomorrow for the 41st Annual SCBWI Summer Conference in Los Angeles, August 3-6, 2012. This conference SELLS OUT, so go check out the Monday intensives and the manuscript critiques, the amazing faculty (all those authors and illustrators and editors and publishers and art directors!) 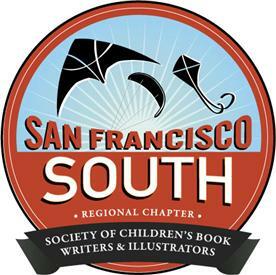 and the Golden Kite and Sid Fleischman award-winning authors and illustrators you'll get to hear from, too. It's four days of inspiration, craft, business and community that you won't want to miss! 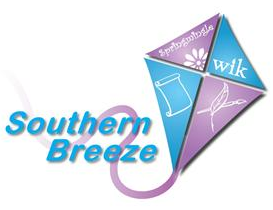 Check out all the conference details and registration information here. 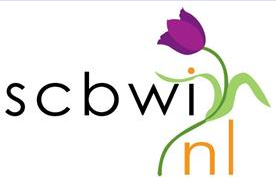 In the weeks leading up to the conference, SCBWI Team Blog will feature interviews with many of the amazing faculty at the SCBWI Conference Blog so you can know what to expect and look forward to. We'll be blogging during the conference as well, and myself, Martha Brockenbrough, Jolie Stekly, Jaime Temairik and Suzanne Young will feature some highlights of the keynote addresses and conference panels - but there's nothing like being there yourself! 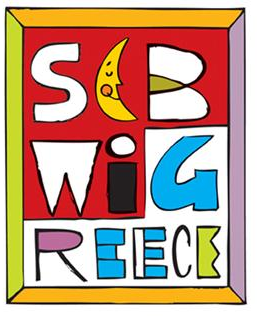 Every year the SCBWI awards one member with The Sid Fleischman Humor Award, for work that "exemplifies excellence in the genre of humor, a category so often overlooked by other award committees in children’s literature." 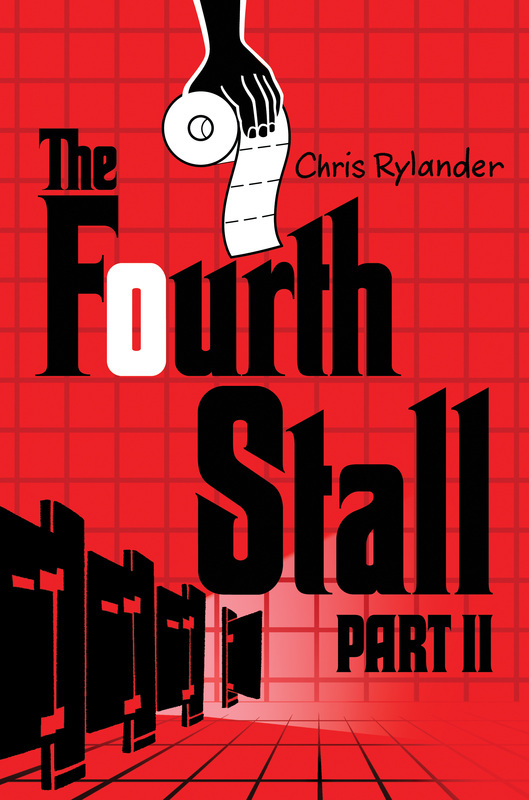 This year's winner is Chris Rylander for his debut middle grade novel, The Fourth Stall. Lee: Hi Chris! 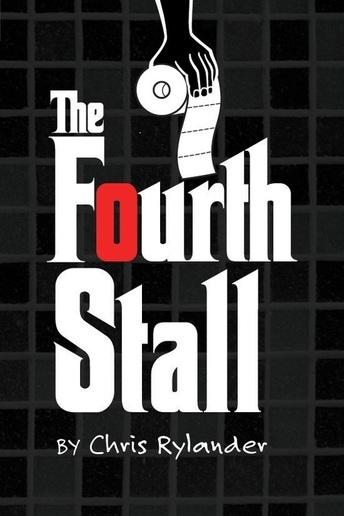 Congratulations on winning the Sid Fleischman Award for "The Fourth Stall!" Lee: Can you tell us about finding out that you'd won? Chris: Yeah, it was kind of weird in that I hadn't thought about the award lately and it wasn't on my mind at all the day Lin called. But for some bizarre reason as soon as I saw an LA area code on my phone I just had this weird feeling that it might be related to the Sid Fleischman Award. And then when I answered and she said, "This is Lin Oliver..." I was in complete shock. I think she was expecting me to shout and yell, but I was too surprised to say much of anything. Lee: Is being funny – writing funny – a gift or is it a craft? Are you born with it, or can you develop it? Chris: I really think that you have to be born with at least part of it... It's really hard to force funny. Most of the time I'm not even trying to be funny, I'm just writing to entertain and amuse myself. But the strange thing is, I usually can't help myself. Whenever I try to write any story more serious in nature, it always reverts back to humor by page two. It's just the way I write, it seems. Lee: You used different kinds of funny in your book; jokes, absurdity, situational comedy – are you aware of using different comedic tools or do you just write it? Chris: I have very little awareness at all when I write, if that's okay to admit. I just kind of go and whatever comes out comes out. Sometimes when I go back and reread something for the first time, I'll think, "I wrote that? I don't remember writing that." So, I think all the different forms of humor in my book just happen that way, there's not a lot of deliberation over what type of humor to insert where. Lee: We (and our kid readers) live in a world where we’re told to see things in black or white. Villains are all bad. Heroes are all good. You went a long way to making your villain, Staples, three dimensional. And there are also moments when your story’s heroes aren’t perfect and do “bad” things... can you talk about those decisions as a writer? Chris: Well, for a lot of that, I definitely need to give credit to my agent and editor. They both helped me a ton in fleshing out my characters and making them more well-rounded. But that said, yeah, I definitely always strive to have "real" people in my books, at least at their core. A lot of my characters are kind of absurd on the surface or at first glance, but I really think the humor of that absurdity needs to still be grounded with a "real" person underneath. Except for the rare true sociopath, I think everybody does and thinks and feels good and bad things in their lives, so our characters should be no different. Lee: Writing Middle Grade raises the issue of how involved are the parents going to be – you don’t want them to solve the main character’s problems for them, but it’s also a bit of a cliche to kill them off before the story starts. How do you dance along that line of parent involvement in your writing? Chris: It was sort of easy for me in The Fourth Stall because I decided right away to structure the school and Mac's business in a way that revolves around a kid-based hierarchy or world. So as much as possible, I wanted all of the kids to be very determined to keep parents and teachers (who play the police role in The Fourth Stall) out of the main conflicts between kids. Of course in The Fourth Stall Part II, I spin that around and teachers and adults suddenly play a much different role, which was kind of fun. Lee: Without spoilers for those who haven't read the first book, can you tell us a little more about the sequel? Chris: In the sequel, a girl comes to Mac for help. And he quickly learns that she's not quite what she seems. He can't quite figure out what her angle is. Also, a lot of really weird stuff starts happening at their school and a new principal is brought in and seems to be determined to take down Mac's business. Chris: Well, that does sound like good advice! I wouldn't even know where to start when advising people on constructing a good mystery. I always applied the old, "If I was a reading this right now, what would shock me the most?" method when figuring out how to keep people guessing. That, and having an amazing editor seemed to do the trick. Lee: I like that technique - "what would shock me the most?" I'll have to try it! I noticed in the Acknowledgements for The Fourth Stall that you thanked Ruta Sepetys, winner of this year’s Golden Kite Award for Fiction for her debut novel, “Between Shades of Gray” – Do you two have a club for award winning debut authors? Chris: Ha-ha! Actually, we were both on the precipice of signing with the same agent back in 2007, I think. So that's how we started corresponding. And it's sort of bizarre how we both ended up signing with agents and getting book deals right around the same time. And now we're getting awards in the same year. Strange world. 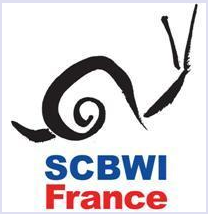 Lee: When did you join SCBWI and can you tell us how that’s helped you on your journey as an author? Chris: I joined shortly after I received my first book deal. 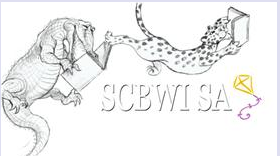 So I can't say that it helped me get published, but I can say that the wealth of information and support I've found through SCBWI since joining is substantial. It's an amazing way to connect with other writers and illustrators. I spent one year as Regional Advisor of the Dakotas region, and I had the best time talking to other members and writers and artists at our local conferences. It was my favorite part of being RA, meeting other writers. Lee: Last Question: What’s your best piece of advice for other writers? Chris: My best piece of advice is to never, ever let rejections get you down. I mean, it's okay to be disappointed, but don't let it destroy your resolve or even ruin your day. Not every book is universally loved, I mean, I've met people who hated the Harry Potter books, and they might be the most beloved series of all time. So just don't let it get you down, you can't force anyone to like your book. Write for yourself first, and consider any publication a bonus. I know that mindset kept me sane. Lee: Great Advice! Thank you so much, Chris! To find out more about Chris and his books, visit his website here. the world needs great editors, and so does publishing. "We didn't have too little information [before 9/11], we had too much. We needed an editor...to take what mattered and throw out what didn't matter." "50 years ago, all you needed was a spy plane. Today you need something much more sophisticated--you need an editor." As for publishing, "What will sustain this industry is someone to act as gatekeeper and taste-maker." "An expert's job is to place limits and impose standards" and "it's the editor who is the king. 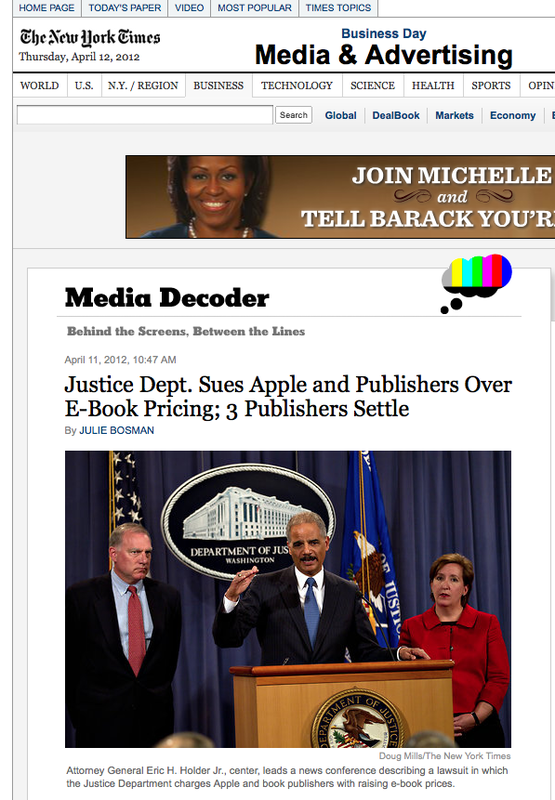 *"
His call to action to the publishers? "Don't give me more. 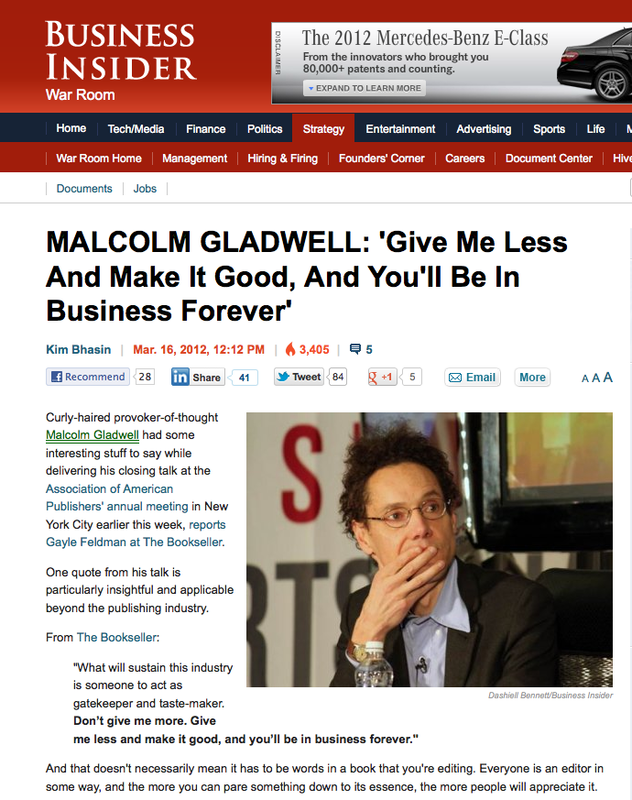 Give me less, and make it good, and you'll be in business forever." *Monarch, in being gender-neutral, would have made me happier than "King." But Malcolm's point is well taken. There are so many children's books being put out there - especially with the rise of self-publishing - that quality of the work and vetting of the work have become keys to the future. 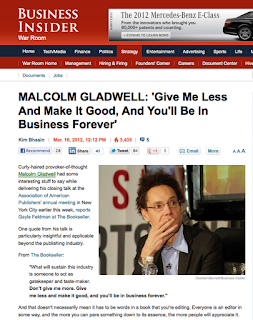 Gladwell's speech was reported by Michael Cader for Publisher's Marketplace in an article, "Malcolm Gladwell Celebrates The Editor As "King"', Gayle Feldman at the Bookseller in "AAP: Nothing more important than editing" and by Kim Bhasian at Business Insider war room, "Malcolm Gladwell: "Give Me Less And Make It Good, And You'll Be In Business Forever." Golden Kite Award Interviews: Candace Fleming (Winner for Non Fiction for "Amelia Lost: The Life and Disappearance of Amelia Earhart"
Candace Fleming's non fiction biography of Amelia Earhart won the 2012 Golden Kite Award! Lee: First, congratulations on winning the 2012 Golden Kite Award for Non Fiction for your Amelia Lost: The Life and Disappearance of Amelia Earhart! Candace: Thank you. I was thrilled when I heard the news, and I continue to be thrilled. It's amazing! Lee: So, why Amelia? What drew you to telling her story? Candace: Here's the story -- during my sophomore year in high school, on our way back from the homecoming dance, my boyfriend of three weeks -- Doug Cougill -- broke up with me. He dumped me for the girl he'd actually spent most of the evening dancing with. So, still wearing my Gunny Sack dress (this was 1978 after all), I flung myself onto the sofa and sobbed out my anguish. Then I waited for my mother to share a similar story from her past, one that would reflect my own emotions; one that would comfort me because it would fulfill that old adage, "misery loves company." Instead my mother told me this unexpected story.... In was July 4, 1937 and my mother -- thirteen at the time -- was listening to the radio when an announcer broke in with stunning news. Amelia Earhart was missing. Enroute from New Guinea to Howland Island, she'd simply vanished. Authorities believed she'd gone down at sea. My mother couldn't believe it. It seemed impossible. Amelia Earhart was the woman who could do anything -- a larger-than-life role model who symbolized endless female possibilities. She couldn't be lost as sea. She just couldn't. Devastated, my mother stumbled down to the beach-- she lived in a small town on the shore of Lake Michigan -- and she stood there in the sand, gazing up into the cloudless blue sky. Watching. Waiting. Willing Amelia home. She was convinced if she stood there long enough, she would eventually see the aviator winging her way home. But the pilot didn't come. And she didn't come. She never came. And even though forty years had passed between that event and my homecoming dance, I could still hear the sadness and longing in my mother's voice. Amelia Earhart had broken my mother's heart. And in turn, she'd broken mine. Let's face it -- broken hearts make for good stories. Lee: Wow! I love knowing that, and it does seem that Amelia's loss broke hearts across the world. As a reader, there were a lot of surprises in your telling of Amelia’s life and accomplishments... I didn’t know that she learned to fly by taking lessons from another female pilot, or that she didn’t actually pilot the plane the whole time for some of the flights for which she became most famous, or even how she worked at cultivating her own fame. 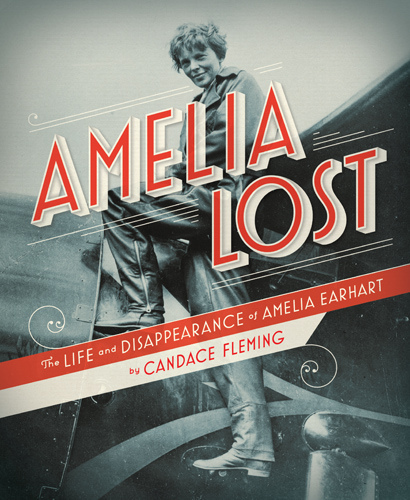 What were the things you learned about Amelia in researching and writing this book that surprised you the most? Candace: What I found most surprising was the level of mythologizing Amelia did on her own behalf. What I mean is, she told stories about herself --wrote them in her memoirs -- that were totally untrue. She created them out of whole cloth. For example, in her book The Fun Of It she relays this absolutely charming anecdote about her first glimpse of an airplane. It was 1908, she wrote, and a "thing of wire and wood" was giving demonstrations at the Iowa State Fair. But eleven year old Amelia wasn't the least bit interested. She was entirely too taken with "an absurd little hat made of a... peach basket" that she'd bought for fifteen cents. It's a charming story. But it's not true. Aviation history (as well as the Iowa Historical Society) bears that out. And that wasn't the only fib Amelia told. At first, I was frustrated by all the lies. I began telling people I was going to title the book "Flyer, Flyer Pants On Fire." Then I realized that this was an opportunity to get beyond the mythologized Amelia -- a chance to strip away the heroic mask in order to make her a living, breathing woman who did extraordinary things. Lee: (laughing) I really liked your "Navigating History" preface that encouraged readers to think about just that - the difference between truth and myth. Was there a book proposal phase of selling this project, or did you write the whole thing on spec? Candace: I'm embarrassed to admit that it was neither. My longtime editor, Anne Schwartz, asked who I wanted to write about next. I gave her two names -- P.T. Barnum and Amelia Earhart. So she offered me a two-book contract, and I got to work. Lee: Nice! When there’s such an incredible amount of information on a subject – you’re writing about really famous people (Amelia Earhart, Mary Lincoln, P.T. Barnum) who have very much been in the spotlight, and you could probably fill a library with the books and articles written about each of them - how do you not get lost in the research? How do you know when it’s time to stop gathering information and start writing? Candace: I do get lost in the research. In fact, I WANT to get lost in the research. It's the only way to uncover those overlooked tidbits of truth. I know it's time to write, however, when the story reveals itself. It shows me how it wants to be told. I'm talking about structure here. I never know how I'm going to tell a person's life story until I've done the research. I never impose structure. Instead, I research until I sort of find my way into that person's life. I see the story's shape --be it a scrapbook, or a more traditional chronology, or two juxtaposing stories. That's when I know I'm ready to write. Lee: That's a fascinating way to approach it - to want to get lost in the research! Can you tell us more about how you played with organizing the structure of the dual narrative in Amelia Lost: the search for Amelia on the one hand, and her childhood through that last fateful flight on the other? Did you use index cards, or special software? Candace: No notecards, or special software, just wide-lined, loose leaf notebook paper. It's what I write all my first drafts on. As for Amelia's structure, that was dictated by the research. As I delved into her life, I discovered another story -- that incredible and dramatic search. And I began to see how the two stories dovetailed; how Amelia's choices seemed to lead to her fate; how her fate led to her becoming legendary. Once I came to this conclusion, the writing came easily. I didn't write the stories separately, but rather in the order they appear in the book. Sure, I strived for dramatic effect and cliff-hanging endings. But the breaks themselves -- where one story ends and another begins -- followed their own course. Lee: The sidebars were almost a third storyline, providing background information and context just when the reader needed it. Can you tell us more about how you chose what to explain and how you determined how much detail to go into? 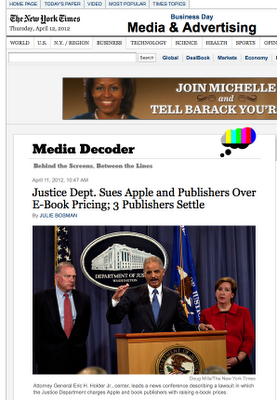 Candace: I've never thought of the sidebars in that way before. A third story? That's such a great thought! For me, sidebars are determined by two questions: 1) Will including this information in the text slow the story down and 2) Is the information just so fascinating that I simply can't leave it behind. If the answer is "yes" to either one of those, then I know I have a sidebar. But I also know they need to be brief, so I try to keep them to two or three paragraphs. I try, but I'm not always successful. 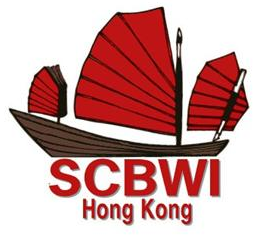 Lee: When did you first join SCBWI, and can you tell us how that's helped you on your journey as an author? 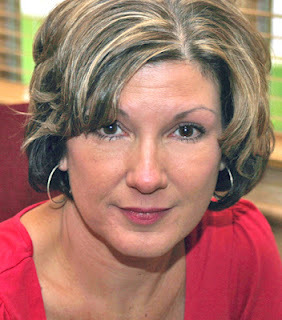 Candace: I shudder as I say this, but I joined SCBWI almost nineteen years ago. That's a long time, huh? At the time I'd published a few magazine pieces, but was really interested in writing books. So I joined SCBWI and a few months later headed off to my very first writer's conference here in Illinois with a picture book manuscript in hand and smashed graham crackers on my skirt (my sons were still really little back then). Oh, gosh, I was so nervous. And yet so hopeful. I'd come to hear the amazing Anne Schwartz (who was editorial director of Apple Soup, her imprint at Knopf, back then) talk about her list. I'd been doing my homework, studying everyone's list and I felt a real kinship with the stuff she was publishing. Anyway, to make a long story short, during an open mic reading, a friend read my manuscript. Anne heard it and liked it. She asked if I would send it to her. I did, and a few weeks later I had my first book contract. 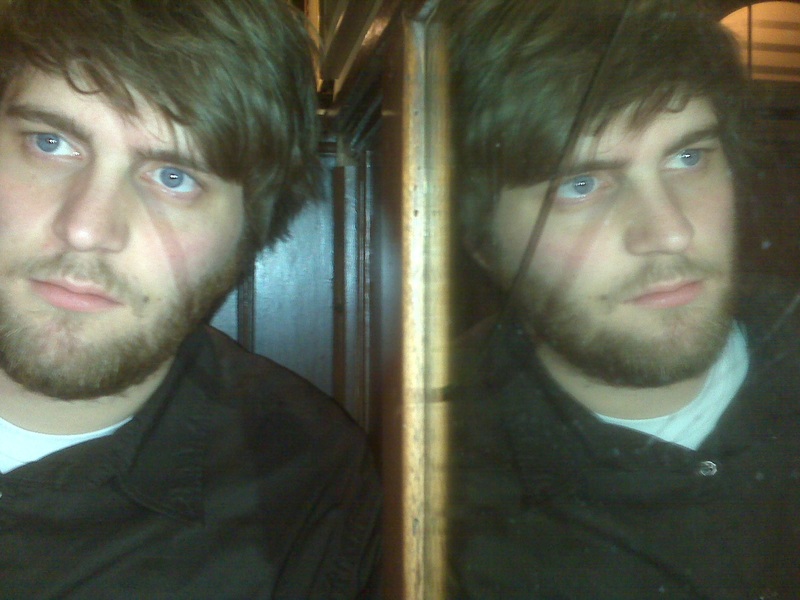 Even better, I ended up with an incredible editor, as well as good friend. We've been together ever since -- nineteen years and something like twenty books. Not bad, huh? Lee: Not bad at all - you're a real SCBWI success story! Hurray! Last question, do you have any advice for other writers working on non fiction projects for kids and teens? Candy: Think of your piece as a story, not an information piece. After all, we're storytellers, not fact writers. And honestly, there's not much difference between writing fiction and nonfiction. You use the same writing tool box -- three-dimensional characters, evocative settings, dramatic scenes. It's just that the materials are different. Let me explain further. I liken the process to making cake. When baking a fictional cake, you're free to chose any ingredients you want to make a scrumptious dessert that people will gobble up. With nonfiction, you're still expected to create a delicious, gobble-inducing dessert. The only difference is that someone else has chosen the ingredients. You're still expected to create an engrossing story. Lee: That's lovely! Thanks so much Candy! For more about Candace and her books, and even a great video where she talks about baking Benjamin Franklin a birthday cake, check out her website here. April is National Poetry Month in the USA, and these kid lit poets have come up with some clever ways to celebrate that isn't all about them. By hosting the work of others on their sites, they're raising their own profile, generating a lot of good-will, and doing good. Kid Lit Poet Ed DeCaria created a sports-match style event called Madness! 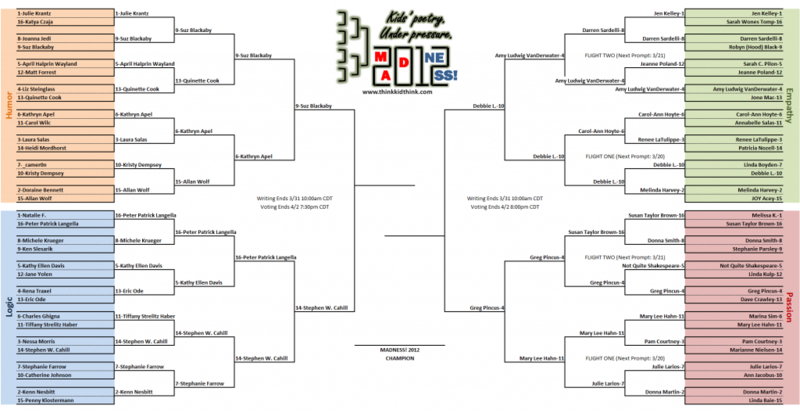 2012, pitting poets and their specially-written poems against each other head to head - readers vote for their favorites, and the winners advance to the next round. 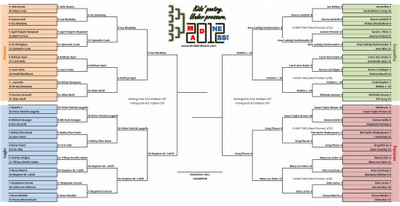 This week is the final match up, and with over 120 new poems and more than 10,000 votes cast, it's a great way to celebrate poetry! 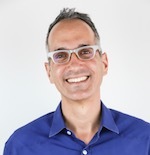 Kid Lit Poet, Author (with his debut book upcoming from Arthur A. Levine books) and Social Media Guru Greg Pincus once again treats us all to 30 Poets 30 Days on his blog, GottaBook. This year's poets will include Alma Flor Ada, Susan Taylor Brown,Liz Brownlee, Leslie Bulion, Kate Coombs, Bruce Coville, Kalli Dakos, Ed DeCaria, Margarita Engle, Bob Forbes, Helen Frost, Sara Holbrook, Ellen Hopkins, Ron Koertge, Thanhha Lai, JonArno Lawson, Kimberly Marcus, Lorraine Marwood, Marilyn Nelson, Eric Ode, Mary Quattlebaum, Bob Raczka, Michael J. Rosen, Michael Salinger, Hope Anita Smith, Amy Ludwig VanDerwater, Lee Wardlaw, Robert Weinstock, Steven Withrow, and Allan Wolf! And Kid Lit Picture Book Author and self-professed foodie Jama Kim Rattigan has rounded up lots more National Poetry Month Kid Lit Events at her blog here, including her own 3rd Annual Poetry Potluck, where guest poets will share a poem and favorite recipe each week day throughout April. Her menu of poets includes: Charles Waters, Linda Ashman, Janet Wong, April Pulley Sayre, Robyn Hood Black, Kathi Appelt, Leslie Muir, Martha Calderaro, Mary Quattlebaum, Jill Corcoran, Linda Baie, Gail Gerwin, Helen Frost, Kay Pluta, Margarita Engle, Lesa Taylor Medley, Lee Wardlaw, Doraine Bennett, Heidi Bee Roemer ,Adele Kenny, and Sondra Gash. 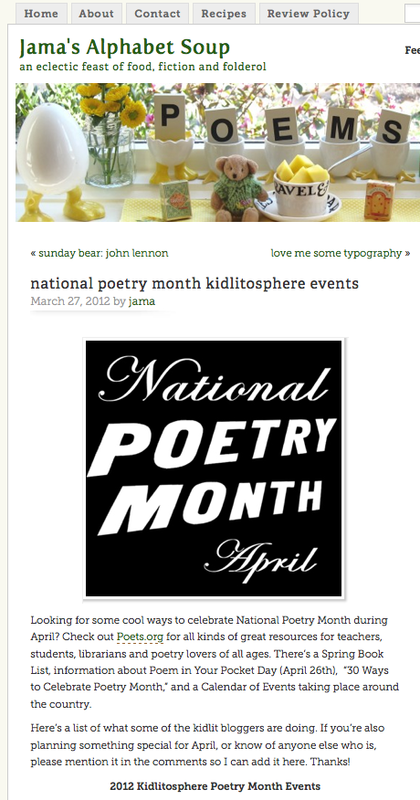 What's interesting to note is that by connecting to the larger celebration of National Poetry Month, Ed, Greg and Jama are bringing lots of new children's poetry to new readers, and that's bringing new readers to themselves as well.